On Earth, space begins at the Kármán line (100 km above sea level). 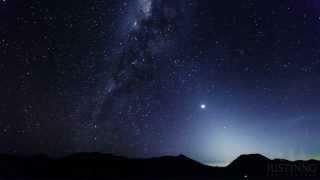 This is where Earth's atmosphere is said to stop and outer space begins. This is not a firm boundary but is a convention used by scientists and diplomats. Items in space are free to move back and forth; up and down; and left and right. These three dimensions are what make 3D space. Items also move forward through time, which is sometimes called the fourth dimension. The majority of space contains very little matter and so most of it is a vacuum. 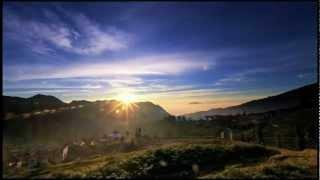 Scientists do not know how big space is but we do know that space is extremely big, and is always expanding. According to the big bang theory, all matter and energy in the Universe was compressed into a very small space. Then it exploded and started expanding. Space is still growing in size today; this means the distance from one galaxy to distant galaxies is getting longer. Gravity is the force that keeps the Moon in orbit around the Earth and the planets in orbit around the Sun. Gravity can stretch and bend space similar to how a heavy ball placed on a stretched sheet of rubber will cause the rubber to stretch. The scientist who discovered that space can bend is named Albert Einstein. How gravity bends space is part of his theory of general relativity. An astronaut is any person who is trained by NASA to travel and perform tasks in space. Although the space traveler may not necessarily be a United States citizen, each astronaut does go through a rigorous training regiment by the National Aeronautics and Space Administration. Other space travelers go by other names then astronaut depending on their country of origin. In the United States, astronaut is derived from the Greek words ástron (star) and nautis (sailor). While, in Russia, a space traveler goes by the name космонавт (English: cosmonaut), which is derived from the Greek words kosmos (universe) and nautis (sailor). Westerners call a space traveler from China a taikonaut, based on the 1998 writings of Chiew Lee Yik and Chen Lan where the term tàikōng (great emptiness), Chinese for “space”. In China, the term yuháng yuán (universe navigator) is used for space traveler. 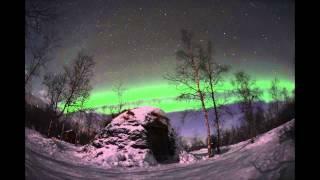 Chad Blakley (lightsoverlapland.com) grabbed his camera on Christmas Day 2013 and captured the festive Northern Lights above the frozen shore of Lake Torneträsk in Abisko National Park. Severe solar winds created these awe-inspiring auroras in Abisko National Park in Sweden, captured by Chad Blakley http://lightsoverlapland.com on January 2nd. 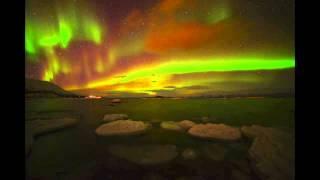 Chad Blakley (lightsoverlapland.com) captured the intense northern lights over Abisko National Park in norther Sweden on January 7th, 2014. The powerful Solar x-flare on the same day may deliver auroras even further south by Jan. 9th. 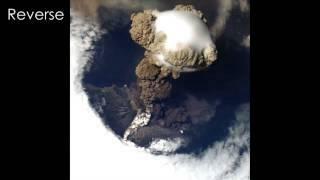 On June 12, 2009, the Sarychev Volcano, on Matua Island, northeast of Japan, erupted explosively as it has previously in 1989, 1986, 1976 and 1946. 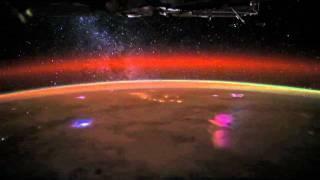 An ISS astronaut grabbed this shot, recently processed into animation by NASA. On Feb 1st, 2014, Chad Blakley (lightsoverlapland.com) captured what he describes as a memory "that will forever live in the the minds of everyone that was luck enough to see the show in person". 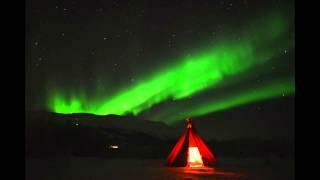 The auroras are seen this stunning time-lapse. Photographer Justin Ng captured the glow of inner solar system dust scattering sunlight over 3 Indonesian volcanoes, the active Semeru and Bromo plus the dormant Batok. Planets Venus, Saturn and Mercury lie within this field of view. NASA has compiled some of the best imagery attained of our world in 2012. 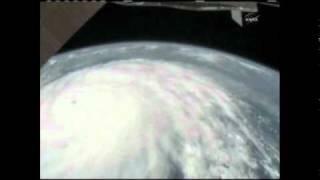 Imagery and animations from the Space Station and multiple Earth observing missions were used. 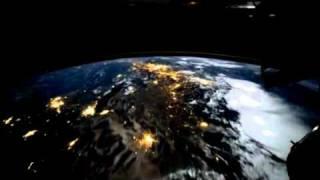 Nature-made lightning -- and man-made lighting -- enhance this surreal time-lapse view from the International Space Station. 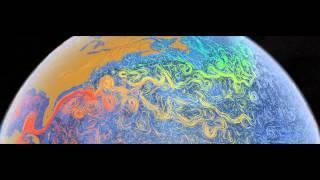 The video was created using astronaut photography that anyone may download. 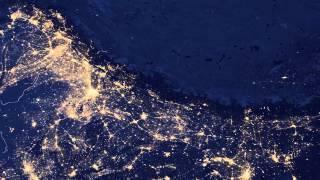 Using data from the Suomi NPP satellite, the Earth at night is seen ever so clearly. The light detection instrumentation is ten to hundreds of times better than previous capabilities. While flying over a stormy Africa, astronauts aboard the International Space Station captured stunning imagery of the Milky Way and the comet that lived. Photographer Justin Ng (Facebook.com/justinngphoto) captured the cones of Mount Bromo, Mount Semeru and Mount Batok during sunset and into the night. Lava smoke, long exposure stars, and a passing dust storm spice the scene. Rare electromagnetic bursts called 'sprites' that form above thunderstorms were filmed by Japan's NHK television at 10,000 frames per second. 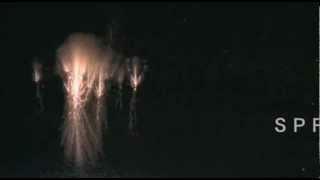 In April 2012, the International Space Station also captured the illusive phenomena over Southeast Asia. 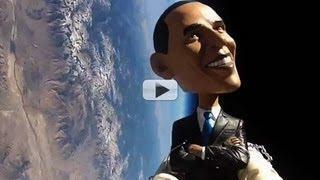 The Earth to Sky Calculus Club of Bishop, CA has successfully launched President Obama and Mitt Romney head swirling toys to 120,000 ft.. Watch some of the flight&descent with new music from the Coheed and Cambria album - The Afterman: Ascension. 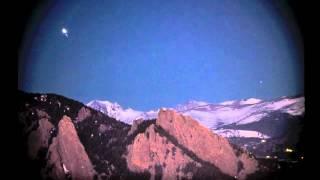 Venus and Jupiter cruise over Colorado's iconic Flatiron Mountains in this video, shot from March 5-9, 2012 by Patrick Cullis. 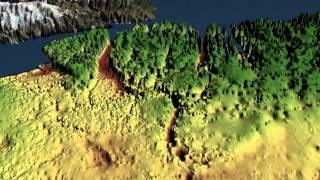 A 460-mile-long stretch of canyon was discovered underneath Greenland's ice sheet by NASA's Operation IceBridge. It runs from the center of the island to the fjord of the Petermann Glacier. 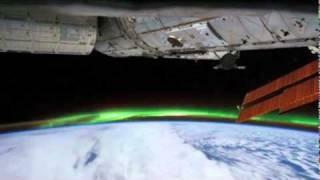 Beautiful video of the Aurora Australis, captured by ISS crew-members passing over eastern Australia on September 11, 2011. 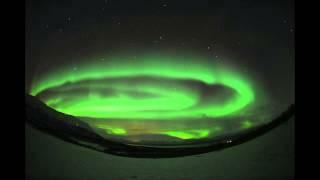 Geomagnetic storms induced by solar flares produce these intricate natural light shows. The International Space Station once again flew over the now Category 3 storm and its outlook seems even more ominous. This fly-over occurred on August 24th, 2011. 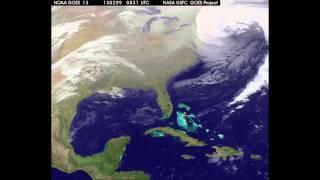 NOAA's GOES-13 satellite snapped imagery of the two low pressure systems joining forces to slam the Northeast United States with heavy winds and snow. Observations were made between Feb. 7th and Feb. 9th, 2013. 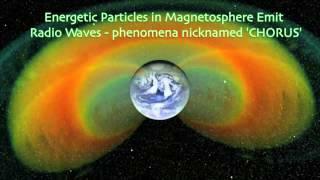 Energetic particles in the magnetosphere emit radio waves that are audible to humans. The NASA Radiation Belt Storm Probes mission's (RBSP) instrumentation captured an instance of the event. The 'chorus' phenomenon is well known by scientists. 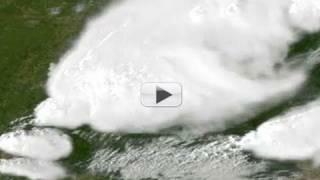 NOAA's GOES (geostationary satellite) watched this horrific storm develop over Missouri, Oklahoma, Kansas state lines on May 22, 2011 between the hours of 12:44pm to 7:15pm CDT.